If you’re a sci-fi fan, you may already be familiar with the babel fish. This fictitious little animal found fame in The Hitchhiker’s Guide to the Galaxy as “the oddest thing in the universe”. What made the babel fish so unique was its ability to perform instant translations in any form of language. You’d simply pop it inside your ear – and whoosh. 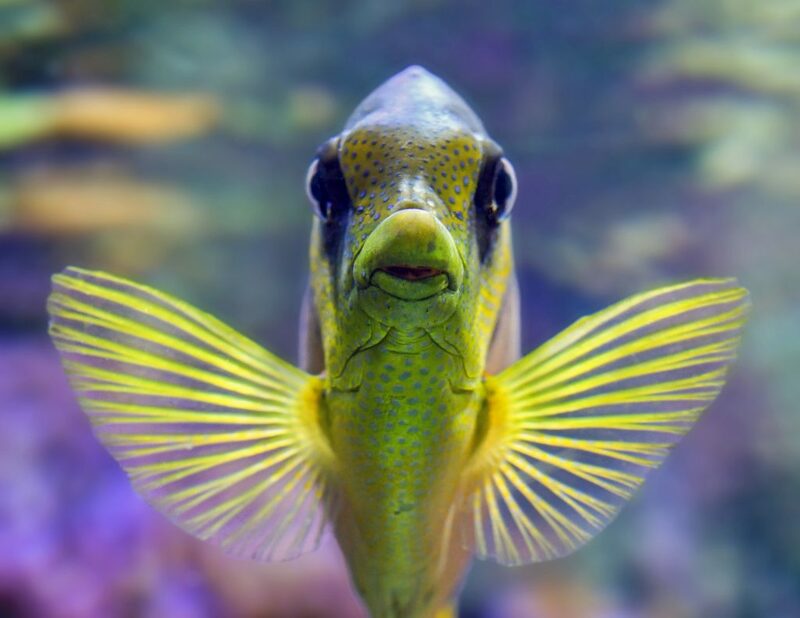 Just like that, you would instantly hear any language translated into your first language, courtesy of the small yellow fish living in your ear canal. But what does the babel fish have to do with your live chat solution? The babel fish would certainly make contact centre life easier. For contact centres, offering multilingual customer support is a tricky and often expensive undertaking. Hosting an organic interpreter inside your head could solve a lot of problems. Admittedly, you wouldn’t need the babel fish to speak Vogon or a host of other alien languages as you whizz around the galaxy in a spaceship. Its use in contact centres would be decidedly tamer. It would help agents chat to their customers in Russia, or give technical support in Hindi, or chat freely to their EU colleagues in any European language. Unfortunately, it’s not a real-world option. Without the babel fish to rely on, contact centres must turn to alternate methods to give multilingual service. Typically, contact centres continually recruit for multilingual customer service agents to meet their translation needs. A multilingual agent – as you’d expect – is able to give support to customers in languages outside of English. Plus, they can do so accurately and with emotional context. But they’re also costly and hard to find. For all their skills, multilingual agents can still only handle one conversation at a time. And without a babel fish inside their ears, they’re usually limited in terms of language range. Offshore call centres can be a great option for companies who sell much of their product or service overseas. A UK company selling in bulk to China, for example, needs to provide post-sales support to their overseas customers. They may struggle to find Mandarin-speaking customer service reps on their home turf. So, setting up a dedicated offshore call centre in China helps better serve their customer base. This option, however, is an expensive one. It might be achievable for the huge international enterprise, but it’s not feasible for a small company with limited resource. A telephone interpreter would be the closest human equivalent to the babel fish. They work in the middle of the business and the customer, interpreting both sides of the conversation over the phone. This is usually a third-party service provided by a specialist provider. It ensures great levels of accuracy, but can feel a little clunky due to the constant delay of interpreting and repeating information over the course of a call. Translation technology is our own digital attempt at duplicating babel fish services. It comes in many shapes and sizes: from online web translation, to machine translation, to mobile apps and even wearables. In the contact centre, there is one particular example of translation technology that offers great, real-time results. This method is as fast, as discreet, and as flexible in range as the babel fish. As you might have guessed from the title of this article, that technology is wrapped within live chat software. The real-time translation of live chat conversations allows contact centres to give instant, seamless customer service in over 100 languages. Think of it as a babel fish inside your chat window, rather than your ear. This works via an out of the box integration of a translation service (such as Google Translate) and a live chat solution. The customer can type in their language; the agent can type back in theirs. Meanwhile, behind the conversational scenes, the live chat solution is translating two-ways to keep communication fluid and fluent. In a world without babel fish, this is as smooth and as economical as translation gets. For contact centres, real-time live chat translation saves the expense of hiring huge multi-lingual teams. Instead, they can simply equip their own team with a handy, super-fast translator for their customer service chats. For the customers on the other side of the chat session, support feels accessible and inclusive. They can get help in their language of choice – without hefty delays or jarring transfers. When Douglas Adams conjured up the babel fish, it was but a figment of his imagination. It was wildly convenient, solved a lot of galactic problems, and couldn’t be easier to start using. In the real world, we’re not quite there yet when it comes to instant and universal translation. But live chat solutions that come with real-time translation are bringing us one step closer to the ideal. To equip your contact centre with the best alternative to a babel fish, start your free trial of WhosOn today.